Enjoy a timeless design that is underpinned by thoroughly modern technology. Step inside one of our classic orangeries using our VR tool to discover its benefits for yourself. Call us for advice and prices. Create that much sought after period look with an Ultraframe Traditional Orangery. Inside and outside, your new room will create an impression on whoever comes to visit. Your new traditional orangery will use a combination of stunning design features that will also reward you with incredible performance. A glass conservatory roof, masonry piers and aluminium cornice will combine to create an outstanding aesthetic. Fox Windows uses Ultraframe – the UK leader when it comes to designing and manufacturing conservatory roof systems. We cover a wide geographical area, including Kenilworth, Leamington Spa, Warwickshire and the surrounding areas. Contact us for advice. Most warm air is lost through the orangery roof. Ask Fox Windows to install a traditional orangery from Ultraframe and you’ll be able to overcome this common problem. The insulated pelmet that comes as standard will stop heat escaping, while at the same time allowing you fit speakers and lighting around your room’s perimeter. Fox Windows understands that every home is different. Your traditional orangery can be customised to tie-in with the colour schemes you’ve chosen, resulting in room that blends in seamlessly with your main property. Different colours can be used internally and externally to further ensure consistency and add market-appeal. What About a Quantal Roof? 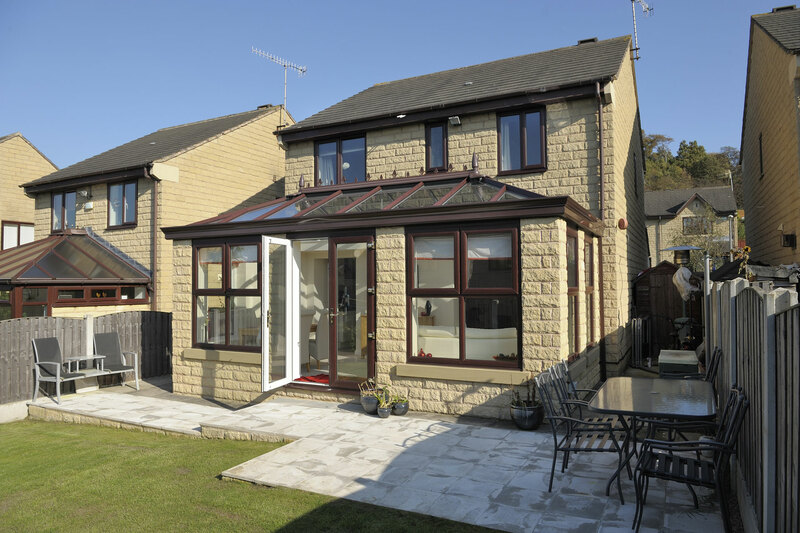 Like the Ultrasky Roof, the Quantal system can cope with wide-spans - so it’s the perfect choice for homeowners who want to make the most of the extra space they have available. Because the Quantal Roof is made from aluminium, it’s incredibly strong. Super-insulated columns can be added to improve aesthetics and thermal performance. Although you can choose from three different conservatory roof systems, the traditional orangery is compatible with the Ultrasky Roof. A structural goalpost that is hidden from view allows bi-fold or patio doors up to 6.5m in width to be installed - so you’ll be able to enjoy stunning views year-round and connect with your garden. Orangeries are no longer spaces that are used occasionally. They are areas that are used all year round - as lounges, living rooms, studies and bedrooms. Add a central lighting panel to your design to create a focal point and enhance that all-important real room feel. Add spotlights, chandeliers and many other forms of lighting as desired. Perhaps you want your traditional orangery to double-up as a living room or lounge. Maybe it will be used a play room or study area. Whatever your aspirations, the performance glass in your roof will prevent most solar rays penetrating - so you won’t have to worry about overheating. Warm air will also be locked inside, where it’s most needed. Or a Glass Conservatory Roof? Like the Ultrasky Roof, the Quantal system can cope with wide-spans – so it’s the perfect choice for homeowners who want to make the most of the extra space they have available. Because the Quantal Roof is made from aluminium, it’s incredibly strong. Super-insulated columns can be added to improve aesthetics and thermal performance. The traditional orangery is also compatible with Ultraframe’s ever -popular Classic Roof. This system can be adapted to different pitches, is compatible with most building styles, and can easily cope with wide-spanning bi-fold doors. The system will be configured to cope with local weather conditions and can tolerate wind speeds up to 130mph. You can take a tour of our Ultraframe products by visiting our Virtual Reality tool. A 360° view is available, which will allow you to take in every detail. By clicking on dedicated hotspots within the image, you’ll be able to learn about the features of the modern orangery you’re interested in – all without having to leave the comfort of your home. Fox Windows has been assessed by Ultraframe’s Ultra Installer scheme. The assessment process has also been approved by Which? Trusted Traders, which we are members of. Our team has the knowledge and product experience needed to make your traditional orangery project a success. Get in touch today for an informal chat. Take a tour of any our orangery products to learn more about their features, then get a free online quote with our design tool. For more information, please contact our team today. We can answer any technical or design-related questions you have. Use our free design tool to create your preferred product online and get a traditional orangery quote within minutes. Create the perfect new room in your Kenilworth, Leamington Spa or Warwickshire home with our traditional orangeries.